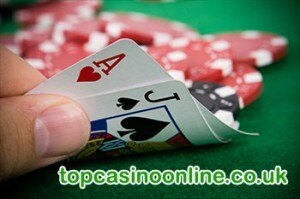 Blackjack is one of the most entertaining games there is in casinos, whether the casino is land based, or online. The reason why more and more people go for a game of blackjack is because blackjack offers the player to have a control over the end result of each game. It is also one of the few casino games out there that has the best odds as well. In a game of blackjack, when you receive a pair, you will have an option to split the cards into two hands. Of course, you will have the chance to break even, or in the worst case scenario, lose twice your original bet. With that said, you really should learn how to properly play those pairs in order to maximize the chances of you winning the casino game. There are certain times when you will have an advantage if you split your hand. One of which is when you have a blackjack pair of aces or eights. If you decide to split the hand, you will have a much better shot at winning something potentially bigger. However, if you have a pair of 10’s with you, you really should not split as you will only be wasting an already good hand. If you have a pair of either 2’s or 3’s, then you should consider splitting the cards if the dealer’s face up card values from 2 to 7. If you have a pair of 4’s on you, then you should split them if the dealer’s face up card is either a 4 or 5. If you have two 6’s, then you should split if the dealer’s face up card values from 2 to 6. If you manage to get a pair of 9’s, then you should just stand if ever the dealer’s face up card is a 7, 10 or ace, but you should remember to split the 9’s if the dealer has a face up card with a value from 2 to 6, 8 or 9. If you have a pair of 5’s, then you should always double down on if the dealer’s casino face up card is anywhere from 2 to 9. And if not, you should hit. Overall, once you have memorized these and put them by heart, you will then have a much better chance of winning when you get a pair. Roulette is a game of chance, so there’s no way to walk away from it a winner if you play it long enough. 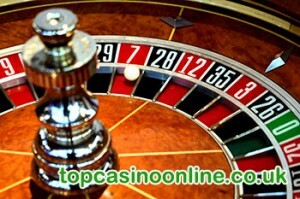 Casino games usually follow a certain pattern: if the rules are simple, then you can expect the house edge to be huge. However, it’s still a highly enjoyable game. If you’re not a casino regular and if you’re just playing occasionally, then you could really have a good chance of walking away a winner. Just follow these tips and strategies and you’ll have increased your chances considerably. If you’re going to play roulette, then it’s best if you play European roulette instead of American Roulette. American roulette gives the house an edge of 7.89 percent because of its two zeroes. That’s a very huge house edge and it’s not something you can ignore at all. If the casino you’re playing at doesn’t have a European wheel, don’t bother playing. European wheels have a house edge of 2.7 percent because it has only one zero. It’s large, but not too large. You can still walk away a winner if you’re lucky. In roulette, you have to remember that you can’t control the wheel, can’t control the dealer, and can’t control the odds. Anybody who claims that he or she can do so is most probably lying. The only thing that you can control when playing roulette is your bankroll. As such, you should make sure that you manage it well so that you can keep playing and maximize your money. The trick to roulette is to know when to walk away. If you’re on a winning streak, don’t let it get to your head too much. Set aside some money to make sure that you’ll walk away a winner no matter what and then gamble your extra money away if you so desire. That way, you’ll never be disappointed no matter what happens. If you’re on a losing streak, walk away while you haven’t lost too much. People who are on a losing streak often get frustrated and often try to ‘win back’ what they lost, believing that luck has to come to them at one point or another. However, the truth is that the more frustrated you get, the more likely you are to make bad decisions. It’s better to just walk away with at least some of your money intact so you can play another day – perhaps when you’re luckier.